SEO services are just as important for small businesses as they are for large enterprises. Digicommerce small business SEO services are made up of a suite of modular and affordable packages that include website optimization, local search optimization, content marketing and social media optimization in small bites but with maximum effect over time. Digicommerce, the best SEO company for small business, offers very affordable modular packages that will definitely bring about visible results in the short and long term. We have modeled our SEO packages for small business in a way that once results start pouring in you practically pay for the small business SEO from the earnings. Digicommerce, India’s top SEO companies, is here to help local businesses like retail shops, restaurants, service providers and contractors be found in local searches and get high volume of business. We provide local SEO that is tailored for small local services. Our packages are affordable and deliver guaranteed results. Digicommerce, leading Delhi NCR based SEO services provider, offers ecommerce SEO solutions for the countless retailers who have joined the online marketplaces. In addition, we offer ecommerce SEO solutions for ecommerce platforms that utilize Wordpress, Magento, Joomla, Zencart and carry out onsite optimization and analytics that will result in better search result rankings translating to higher sales. Digicommerce, the best SEO company India based, offers global and national SEO services to suit preferences of businesses to find regional customers or global clientele. Our SEO experts customize SEO strategies to focus on targets and customize tactics that will result in a company being found easily in regional or global searches. We can carry out country specific SEO implementations or global SEO implementations with wider reach with guaranteed outcomes. Digicommerce excellence and proven track record in SEO services is due its team of trained SEO professionals with years of experience of handling various case scenarios. Even within our teams we have experts specifically focusing on components like PPC, SEM, social media, content writing and analytics, whose combined skills translate to outstanding performance and customer satisfaction. Digicommerce, India’s top SEO services provider, is a Google certified SEO company and Qualified Google Advertising Professional which automatically means that we are recognized as having the skills and resources and also for following the right tactics. Digicommerce is Certified Yahoo Search Marketing Ambassador too. We belong to various search engine marketing organizations like SEMPO and Web Analytics Association as well as the International Internet Marketing Association. 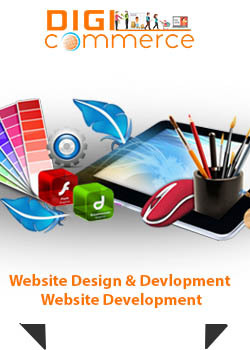 In addition, we partner with IT services and web developers to offer them value added SEO services. Take a look at Digicommerce popular packages for enterprise SEO, local SEO and SEO for small enterprises. Our SEO packages in India are affordable and designed to generate results for optimal ROIs. Based in Delhi NCR NOIDA, we offer best in class SEO packages tailored to suit a client’s specific goals and budget. For every large business there are hundreds and thousands of small businesses that operate mainly at a local level. Restaurants, service providers, caterers, wedding venues, electricians, retail stores, IT services and others need to be found by local people in online searches and on online directories as well as maps. Digicommerce, India's best SEO company for local small level businesses specializes in this segment. Based in NOIDA, Delhi, India, Digicommerce is fully committed to help such small businesses increase their sales and customer base by its local SEO services that are affordable and result oriented. What makes Digicommerce the best for local SEO for small businesses? Digicommerce crafts strategies and tactics that target people who are using local searches on the internet using desktop or mobiles to find products or services they want. Our local SEO helps such businesses show up on first pages of search results with phone number and directions on map. We use well-researched keywords based on demographics of that region and therefore achieve better results for small businesses in their particular area. We assist local businesses to get on to social media and leverage its power to gain visibility as well as loyalty from followers who may recommend them to others in their circles. Our local SEO service helps small businesses get listed on various local directories and also on Google directory, Yahoo Directory and online yellow pages. We create blogs, forum posts and social media pages for local businesses with a local slant. We assist with creation of websites, website optimization for local search and promotions. Digicommerce offers various modular and highly affordable local SEO packages for small businesses, service providers, restaurants and others spread across various cities across India. Results matter and we deliver results following organic, holistic SEO practices for small level.